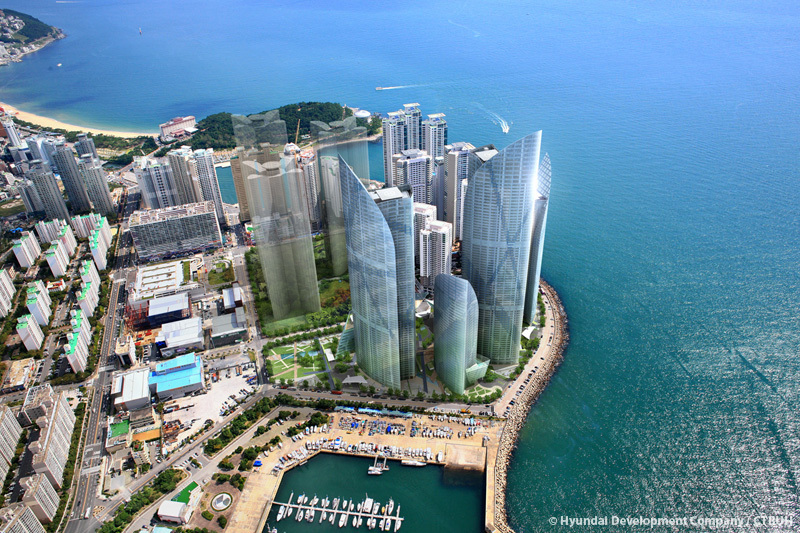 The concept of the project was to build a powerful and unique icon expressed in a dynamic volume on the Busan waterfront. 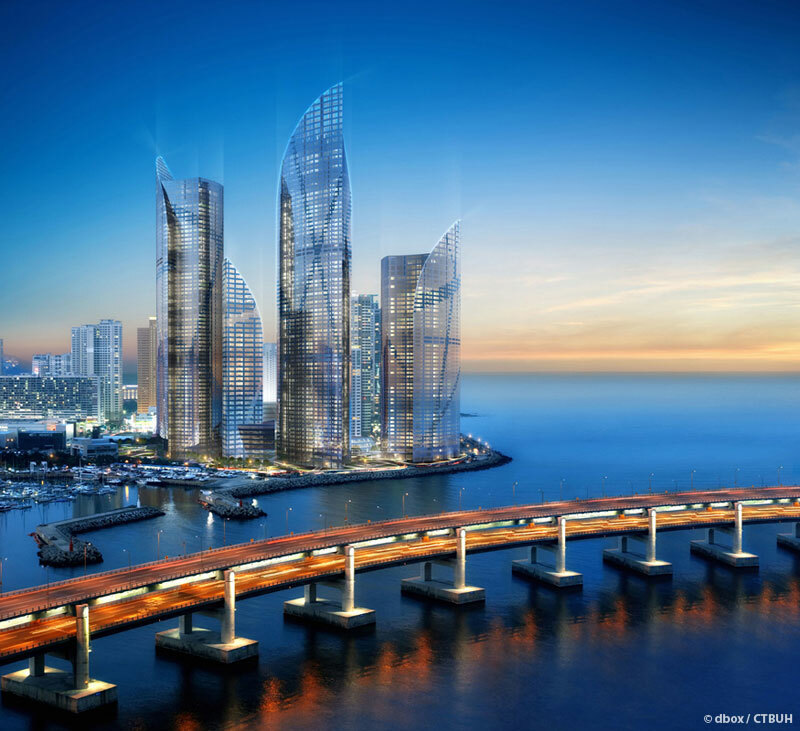 The development includes three high-rise residential towers (with 1631 units), a nine-story office building and a three-story retail building. 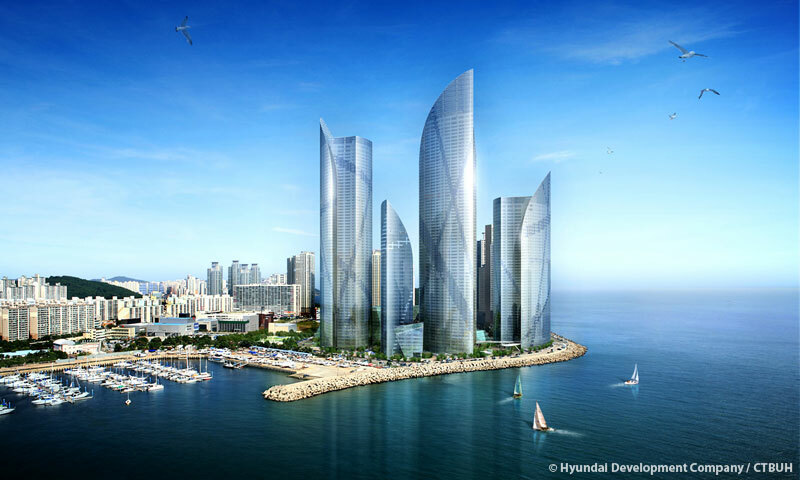 The curvilinear geometry of the buildings plays with concepts of traditional Korean architecture, often derived from natural beauty such as the grace of an ocean wave. 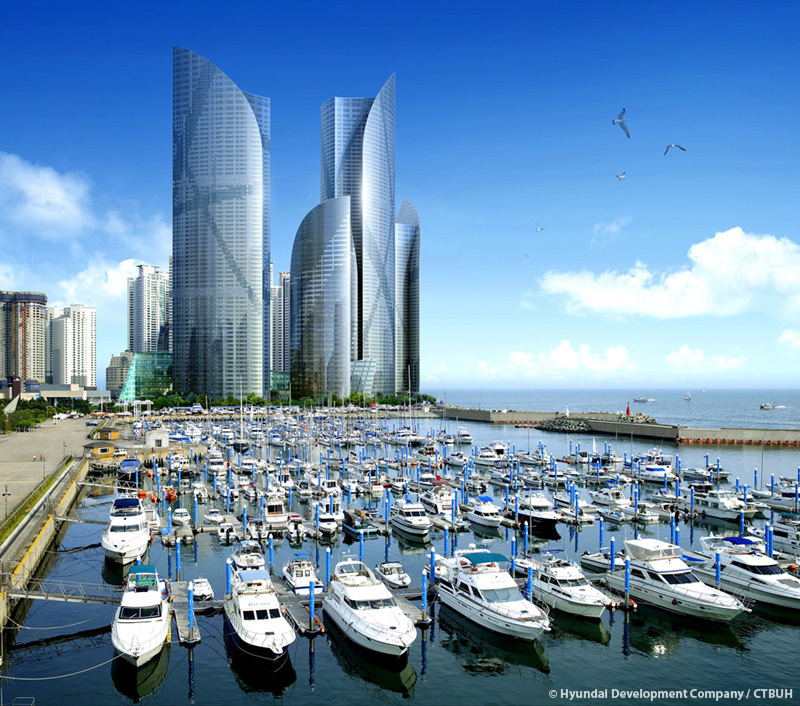 The sculpted forms of the composition, read against the city of Busan, create an iconic whole that is greater than the sum of its parts. The footprints of the towers are each made of differing unusual shapes, extruded vertically with the profiles tapered only at their crowns. 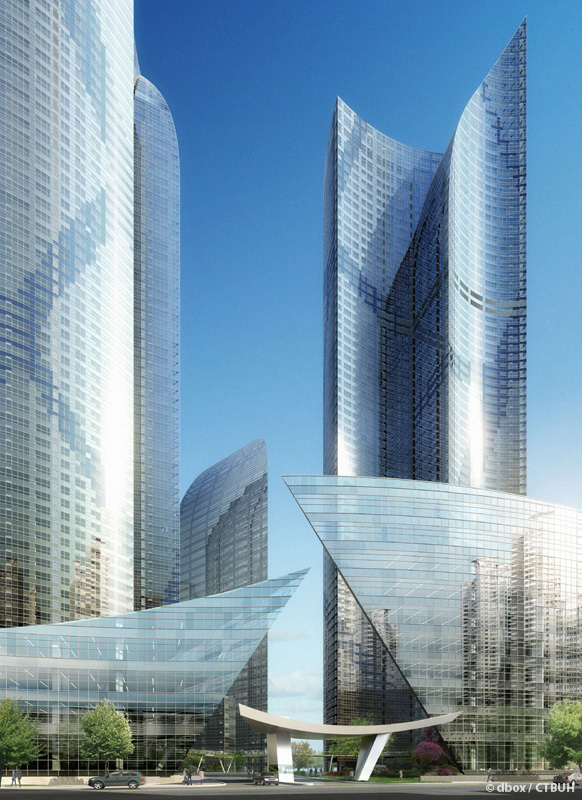 The heights of the towers are varied to create a sculptural composition on the horizon. 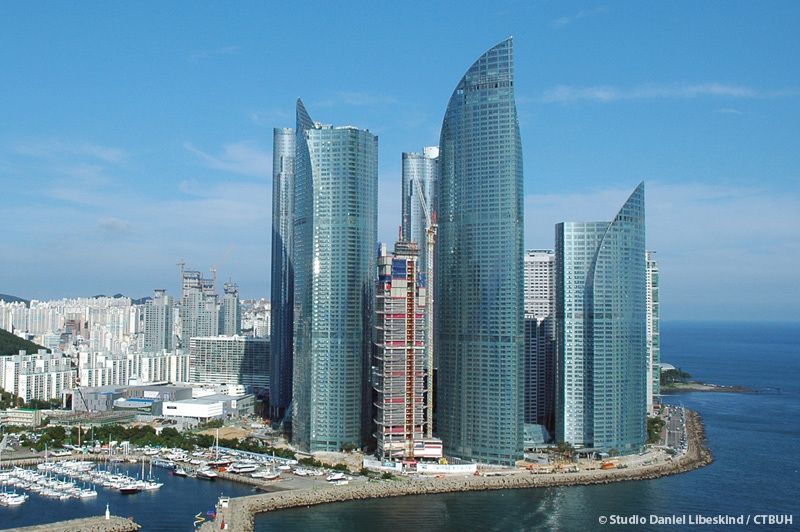 These elements break down the massing of the towers and help to maximize the view corridors of all the apartments as well as bring the most light possible into the developments beyond the site. 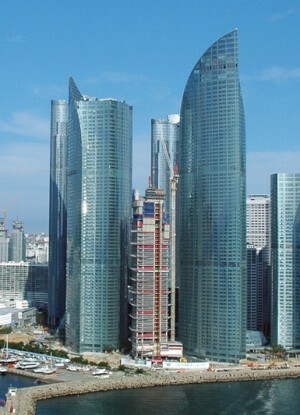 The project maintains efficient floor plates and repeatable construction.